Toastmasters Speeches: Bringing History to Life-Sample Speech, "A Painting and A Plate"
Well, this is just a picture but it is of a painting of a scene inside a café in Paris sometime in the 19th Century. Is there anyone familiar with it? Ok, maybe this will refresh your memory. Five years ago, the present GSIS President, Winston Garcia, received so much intense criticism for purchasing this painting for 46 million pesos from Christie’s Auction in Hong Kong. 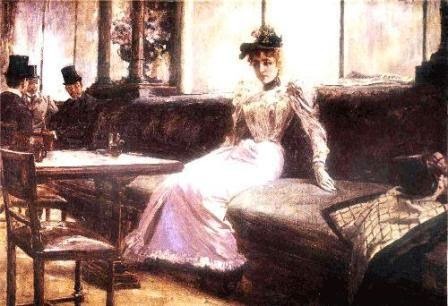 The painting is entitled “A Parisian Life” by Juan Luna. It shows a lady who looks uneasy in a Café being ogled by 3 gentlemen from a corner. In his book entitled, “Rizal without the Overcoat”, the historian Ambeth Ocampo says these 3 are actually: Juan Luna himself, Dr. Ariston Bautista, and our national hero himself, Dr. Jose Rizal. There he ordered his favorite dishes. After finishing his dinner, Juan Luna reached for his pockets for his purse so he could pay, but there was nothing. He rummaged through his big studio bag, among the brushes the paints, but no, he couldn’t find his purse. 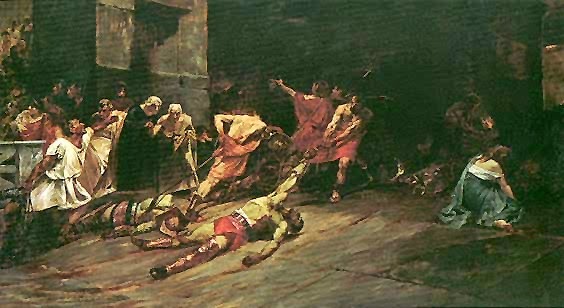 “Ay Caramba!” he said, Juan Luna realized he left his purse at the studio. The waiter noticed this and became suspicious. "Will this Indio be able to pay? ", the waiter thought. After a few minutes of thinking, Juan Luna struck on a brilliant idea. He motioned the snobbish waiter to come over. “Señor, un momento, por favor”, he said. The waiter comes over with his napkin, paper and pen. With a raised eye brow, he asked, “Si, señor, que pasa?” Juan looks up to the waiter and said, “Quiero cerveza, una cerveza por favor?” The waiter says "Bueno, un minuto!” To which Juan answered, “Gracias, Señor.” And with that, the waiter went to the kitchen to get him a bottle of beer. 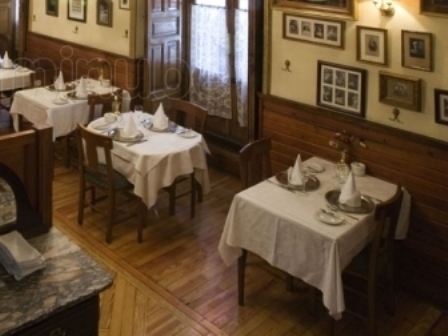 After being served the cerveza, Juan Luna put his big bag on the table. He positioned the bag so that it concealed his dinner plate which was now empty. He took a servilleta, a napkin, and proceeded to wipe the dinner plate clean and dry. 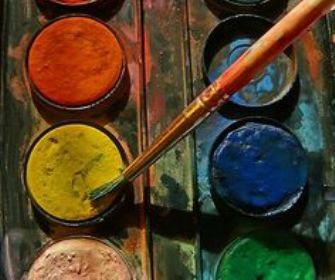 He then took his palette, some brushes and special paints from his bag. And then, while very slowly sipping on his beer, Juan Luna started painting on the dinner plate. And what do you think did he paint on the dinner plate? Is it a portrait of a nearby beautiful lady? A bunch of fruits displayed on the counter? No, he proceeded to paint money on the dinner plate. Juan Luna has been living in Madrid for 6 years and just from memory, he painted veinte cinco pesetas bank notes on the dinner plate. This represented the bill or tab he owed to the restaurant plus a few more for tips! By the time he finished sipping his beer, the paint had dried and his dinner plate painting was done. Below the money painting, he signed the dinner plate, as he always did – “JLUNA”. Juan Luna wasn’t about to renege on his obligation and so he also left his business card (pull out sample business card) – just in case the waiter decides to collect. After seeing the waiter busy with the other tables, Juan quickly slipped out the door. Now, in those days, it was quite customary to leave your payment on the table or on the dinner plate especially if you didn’t expect change. 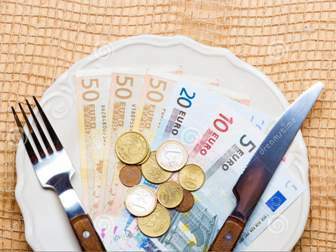 Upon seeing Juan leave, the waiter glanced at the plate and saw money on the dinner plate. Or so, he thought! When he went over to get the money, he was dumbfounded to see it was just a painting on the dinner plate. But he was so impressed with the realistic rendition that he decided to keep the dinner plate, never allowing utensils to touch or scratch it. In the following year, 1884, the huge painting that Juan Luna was laboring on for 8 months back at the studio was finished. It was entered in the 1884 Madrid Exposition and won the Gold Medal. That huge painting was the Spoliarium. Measuring 4 meters high and 7 meters wide, it was an instant hit. It bested hundreds of entries from all over Europe, notably the Spanish, Italian and French painters at the time. And the waiter? Juan Luna never heard from him but suffice it to say that the waiter became the proud owner of a Juan Luna original. (show picture 1 again) Was the GSIS President mistaken in buying this national treasure? I cannot answer that for sure. But in this national treasure, and in other masterpieces like the Spoliarium, Juan Luna proved to the world that the indios could, despite their supposed “barbarian” race, paint far far better than the Spaniards who colonized them.